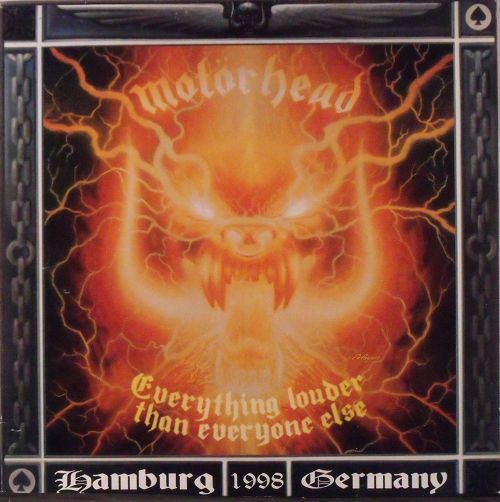 MOTORHEAD - EVERYTHING LOUDER THAN EVERYONE ELSE VINYL (3LP BLACK) | Online Shop | Wizard LTD. Album: "EVERYTHING LOUDER THAN EVERYONE ELSE VINYL (3LP BLACK)"
Everything Louder than Everyone Else is the third live album by the British band Motorhead. The title refers to a remark repeated by Ian Gillan of Deep Purple on their Made in Japan live album: "Could we have everything louder than everything else?". Recorded at a show in Hamburg, Germany on May 21, 1998.